Barefoot Angie Bee: GU and Road ID Giveaway! GU and Road ID Giveaway! I have been working with Outside PR for over a year now and have reviewed many different products that they do PR work for. Road ID and GU have been my favorites so far. Road ID has become a part of our whole families lives. My son Jupiter, who has autism, has it in his community living plan to put his Road ID on before he goes out with the girls that come to work with him. His ID states that he has autism and uses an iPod to communicate. This is fantastic! Any communication help that beautiful boy can get makes me happy. My oldest son Samson has his Road ID sport on at all times. He likes the way it looks so just keeps it on. He is at the age when he goes out and explores on his own and it eases my mind that he has ID with him. The wee spawn have Road ID elites and myself and the two younger fellas got to try the newest Road ID the Slim. For kids a bit older, say maybe 7 or older would do well with the size small Slim Road ID. I found with my youngest spawn that the size small was still a bit too big. For now we will continue to use the wrist ID Elite until they grow a bit more into the slims. The Slims run $15.99 each. The boys and I really love the colors and more bands are only $1 each so reasonably priced to have a collection of colors. I tried out a slim as well and chose a blue band. The small is just a tad small on me however it does not slide around. It would bug me if it did so it's a good fit. My favorite is still the writes ID Elite. All three versions are quite comfortable and I have been happy with them all so its just a matter of picking a favorite. The Slim can be used on any cause band that you have so mixing it up is super easy. I have some favorite Autism Awareness bands that I put it on. I am loving caffeine free GU these days. Caffeine is a great tool and one I still use but for the most part I don't need nor want caffeine every time I need to fuel. Would you like to eat Junior Mints while running? 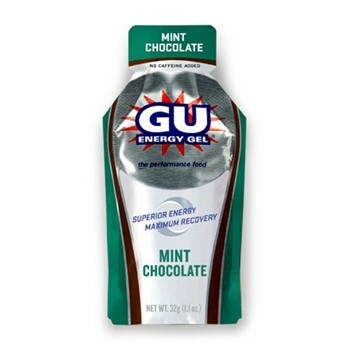 Chocolate Mint GU is what you want! I also love Pineapple Roctane, and Lemon Sublime. As the name suggests it is sublime!! This giveaway is for a $35 gift card for Road ID and a mix of caffeine free GUs as well as a 10 pack of your choice in GU flavor! I would suggest checking out the Chocolate Raspberry Roctane. Totally rocks! As always, each comment is worth one entry in the giveaway so make sure and leave a separate comment for each thing that you do. Its up to you as to how many you want to do. What are your views on wearing ID when you are out in the world? Do you have ID for your children? How do you fuel when active? Do you use caffeine when you work out? Whats your favorite GU flavor? Follow this blog and if you already do leave a comment letting me know you do. Tweet, blog, post a facebook status, email, sky write, ect. Let me know in a seperate comment for each that you do. You can do them multiple times if you wish. This giveaway will run until Saturday October 22nd and the winner will be chosen randomly. Now go out into cyberworld and spread the love! I don't always wear my ID when I'm out...if I had different bands maybe I would. I don't have IDs for my kids. I've tried some like the sport ID but Moose won't keep it on. If I had one for him it would have to be the elite so he couldn't slide it off. Same with Squirt bc he's so little. Fuel varies on how far or what I'm doing. On long runs, I take a Cliff or Power bar with me. If I have Gu I use it (I like it for 9+ miles). I don't use caffeine (unless Gu has it in it). I'd like to try caffeinated gum sometime. No I dont wear an ID on short runs, but on my longer ones I put a piece of paper in my spibelt with my name, address, etc. If I had small children I think this would be one of the thing I would definitely get for my kids. Favorite Gu flavor? Blueberry Pomegranate (holy flavoricious). I don't always carry my ID on me, but I should. My oldest is getting one for Christmas. I haven't had to fuel on the go yet, but am up to trying anything. I usually have coffee in the morning, though. I posted this giveaway on my blog sidebar! I've never tried GU, but I love fruity flavors over chocolate ones, so I can imagine the Tri-Berry or Mandarin Orange would be my favorite. I always have some type of ID on me when I leave the house. You just never know what might happen out there! When running, my RoadID (that I won on your blog!) is always attached to my shoe, and I carry a laminated copy of my driver's license with Josh's cell phone written on the back in the zipper pocket of my water bottle. No kids in our house, but all three dogs wear ID tags with our cell phone numbers. My favorite GU flavors: Espresso Love, Chocolate Mint, and Gingerbread! I think wearing an ID of any sort is particularly helpful if you definitely have a health issue that requires immediate medical attention if something horrible was to happen. I do like that you have your autistic son wear one indicating that he is autistic and the best method of communicating with him. I think we have to be careful what information we put on the kid's Road IDs--just incase the bracelet gets lost. I never thought about using the Road IDs for this very purpose! For my morning runs, I wake up about 2.5-3 hours before a long run and drink at least one glass of coffee (depending on how tired I am and how long the run is). I usually drink coffee in the morning, so this isn't anything different--except I have to drink it way before my run, else I'd be running to the nearest bathroom quite often. I've been eating half a pack of Honey Stingers before my 6+ mile runs. I usually don't fuel during my runs, but I did take half a Gu that was being handed out during my first half marathon last weekend. I've only had the Vanilla Gu flavor, but I have a lemon and chocolate one sitting at home. I only use caffiene during a race and then I think it helps more mentally than physically. I'm stuck on pineapple right now. When I am just training I rarely use Gus and the like. I fuel with gels and clif bars. I like the caffeine, it gives me that extra push to keep going. I currently don't wear/carry any sort of ID while running and while I usually just do laps around my neighborhood, it would still be smart if I did. Among other things, I'm allergic to penicillin. I barely run anything long enough to require fueling while running, but I'm just hitting that mark (doing a 10-mile run on Sunday) so I'm up for options. I strongly believe in wearing ID. If you need help - why make the people helping you work harder to provide that care. I feel it is just part of being a responsible runner, wife, friend and daughter. I have also benefited from my shoe road ID - I left my shoes on the roof of my car and drove off with them there. A woman found them and contacted me. It would have been an expensive loss. Our whole family (me, husband and dog) all have road ID. Due to having celiac disease I need to gluten free products so I use Gu gels and Gu Chomps (yum!). I find they work really well for me and love all the flavours. Hmm… I can’t choose just one flavour in the Gu gels – I’ll go with anything with chocolate and / or coffee flavour. Gu chomps – love every flavour I have tried but blueberry pomegranate is my favorite. I don't have kids, and I don't wear a Road ID, but mostly because I don't own one. I do always cycle with my ID and a credit card in case of emergency. I fuel with GU! Used it training for my first century ride and really liked it. Also use HEED. Favorite flavor might be the Mint one you posted. The Strawberry Banana (I think) isn't bad either. But the Tri-Berry is not so much at all. I follow this blog! How could I not? As an ER Nurse I think that all people with medical conditions or severe allergies should have some sort of ID band on at all times and runners too! I had a RoadID for a while but have moved several times and need to get a new one with my most recent address. But the expresso flavor is good too. So I'll be honest, I have never heard of Road ID before but my two year old would probably love it!!! And I would be more comfortable with the info on hand. I follow your blog and love it. I don't have a RoadId (yet) but I carry a card with my husband phone number when I run. I had necklaces with a phone number made for the kids for when we travel abroad, but they don't really wear them all the time. For my longer runs I carry a multi-hour bottle of Hammer Perpetuem and it works wonderfully for me. It has no caffeine and mostly natural ingredients. I never tried Gu but I hope they make biodegradable packaging because I'm amazed at the number of empty packets I see on the ground when I run on popular routes. That's disgusting and it's not good publicity. I am a HUGE promoter of wearing and having an ID at ALL times. I am a social worker in a very busy ER and it is my job to help ID people when they have nothing. I love when people have IDs and emergency contacts in their wallets or phones. Make my job easy folks! I use Gu, fig newtons, and water. Once I get home I have chocolate milk. Uhm, I love my RoadID, I got the expensive one, in orange. I wear it all the time, and get asked about it often. I don't drink caffeine in my daily life so I try to avoid it in my fuels while running. I like the Lemon Sublime Gu flavor for that reason! I had never thought of using a RoadID for kids...what a great idea. I don't have any kids but I'll share it with my sisters! I must admit that I don't always have ID when I'm out but I do lots of my running on my treadmill or at the gym. I'm a Gatorade drinker and a big fan of my Nature Valley Dark Chocolate Almond granola bar to keep me fueled. Love the Road ID idea and I already have one. As someone who has been hit by a car while running (luckily only minor injuries, scrapes and bruises) it definitely made the $16.00 investment worth it. Vanilla Gu is my favorite, tastes like frosting! When I do a long run, usually use a GU or shot blocks. Fruit snacks are another alternative and much cheaper! I always have an ID on me as a just in case. You never know what could happen. I love the Vanilla Bean! i fuel mainly with hammer gel (montana huckleberry in a gel flask) and hammer heed. gu if i'm running a race without a flask. also bananas and power bars. and, of course, i follow the blog. Do you use caffeine when you work out? Yes. I drink 2 cups of coffee a day, and often a little bit before I go for a run. Hi, I always wear a dog tag when I run. It has my wife's name and cell phone number. Having a road ID would be extra insurance - just in case. 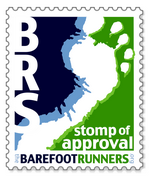 Yes, As another barefoot runner, I follow your blog. I got an ID bracelet a couple of months ago and I try to always wear it when I run outside. 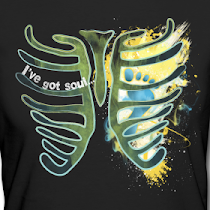 I just feel better knowing I have it on. I don't have ID for my children though and that is something to think about! I LOVE GU gels! I use them when I run longer than 8 miles and take them every 45 minutes or so. I have my favorite flavors like Vanilla bean, and the berry. I think they both have caffeine. My favorite GU flavor is Vanilla Bean! Following the blog and retweeted this morning. Never have carried road ID but I think it would be a good idea. Fueling during a run: Clif Shot Bloks (especially margarita and black cherry), Nuun and I bust out the Gu for long runs (>15 mi). It helps to have several different flavors to keep things interesting om a long run. I tried roasted potatoes on one long run, but they were a little meh on the digestive tract. Also, I forgot to take the leftovers out of my fuelbelt and let me tell you, week old potatoes are NASTY. Fave Gu flavor: Vanilla w/caffeine.